First held in 1923, the 24 Hours of Le Mans is one of the most grueling races in the history of motorsports. Few other events on this side of the Dakar Rally take such a big toll on both man and machine. It goes without saying that racers have evolved considerably over the past nine decades. The first car to win the 24 Hours of Le Mans was a 1923 Chenard-Walcker Sport, which was powered by a 3.0-liter straight-four engine. It drove for 1,372 miles at an average speed of 57 mph; by comparison, in 1989 a Sauber C9 hit nearly 250 mph on the Mulsanne Straight and the Audi R18 e-tron quattro, the winner of last year’s race, logged over 3,200 miles over the course of the day. We’ve compiled a list of ten of the most iconic Le Mans racers ever built. Let us know what your favorite Le Mans car is in the comments section below. Bentley absolutely dominated the 24 Hours of Le Mans in the race’s early years, raking up no less than five victories from 1924 to 1930. 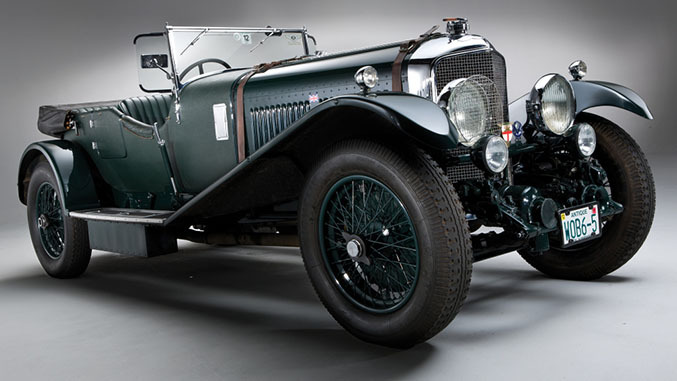 The company’s most iconic racer from the era is the Speed Six, which was introduced in 1928 as a high-performance version of the luxurious 6 ½ Litre. Offered in several wheelbase lengths, the Speed Six was powered by a 6.5-liter straight-six engine that made 180 horsepower, which was a phenomenal figure for the era. Bentley turned the dial up to 11 and built a track-bound version of it whose straight-six had been tuned to an impressive 200 ponies. It was in this configuration configuration that the Speed Six won Le Mans in 1929 and 1930. 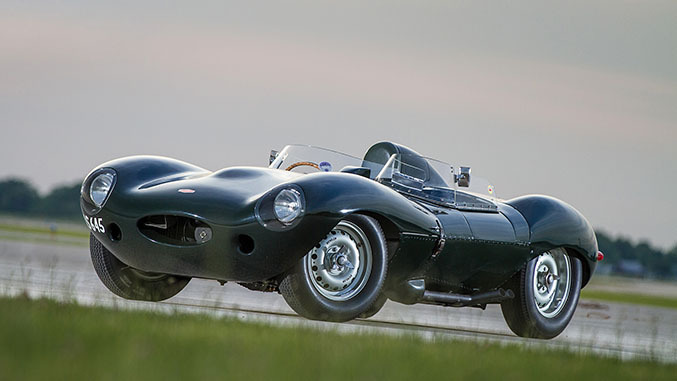 Jaguar got a taste of what it’s like to win at Le Mans in 1951 and 1953, but fierce competition from Germany and England made the C-Type obsolete. Determined to take first place again, Jaguar asked its designers to develop a new race car specifically for endurance events. The D-Type stood out from the C thanks to a more aerodynamic design and a lightweight chassis made up of a front sub-frame and a monocoque. Power came from a 3.4-liter straight-six engine – an evolution of the C’s mill – that made about 250 horsepower and 247 lb-ft. of torque. The D was beaten by a Ferrari 375-Plus during the 1954 24 Hours of Le Mans, but an updated version of the car took first place in 1955, 1956 and 1957. 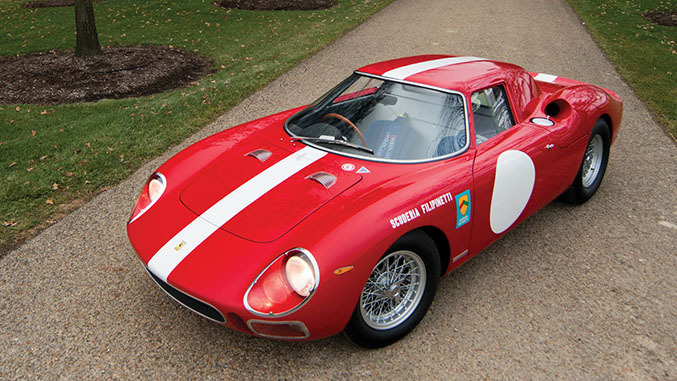 Introduced in 1963, the Ferrari 250 LM was initially designed to compete in the hotly-contested GT category. However, Ferrari didn’t manage to build the 100 examples required for homologation purposes so it was forced to enter the coupe in the sports-prototype class. Light and highly aerodynamic, the 250 LM was powered by a rear-mid-mounted 3.3-liter V12 engine that sent 320 horsepower to the rear wheels via a five-speed manual transmission. Private racers and teams used the 250 LM to compete in a long list of endurance events including the 12 Hours of Sebring and the 24 Hours of Daytona, and a 250 LM owned by the North American Racing Team (NART) won Le Mans in 1965, marking the Prancing Horse’s last-ever overall victory in the event. Ford nearly purchased Ferrari in 1963, but company founder Enzo Ferrari canceled the deal at the very last minute. Understandably angry, Henry Ford II immediately gave his research and development a blank check and asked engineers to develop a world-class endurance racer capable of embarassing Ferrari at Le Mans. 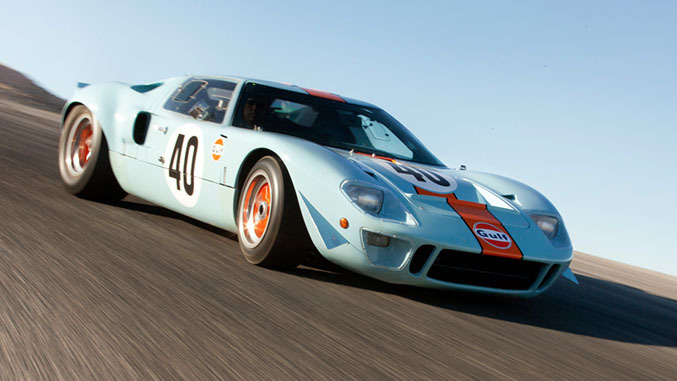 The GT40 made its racing debut in 1964 but it was plagued with mechanical issues. Ford asked Carroll Shelby to fine-tune the car, and the updated GT40 took first, second and third place in the 1966 edition of the 24 Hours of Daytona, the 12 Hours of Sebring and the 24 Hours of Le Mans. Notably, Ford was the first non-European company to win at Le Mans. To say that the Porsche 917 got off to a bad start is an understatement: British privateer John Woolfe died when his 917 turned over during the first lap of the 1969 edition of the 24 Hours of Le Mans. The 917 was very difficult to control at high speeds, and many pilots simply refused to drive it. 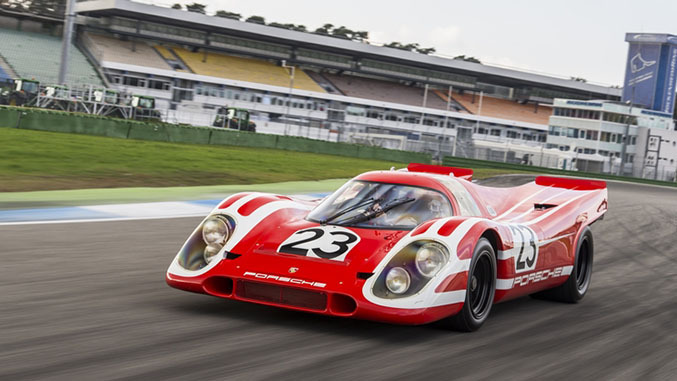 Porsche went back to the drawing board and, with input from John Wyer Automotive, made several major modifications to the 917 that turned it into one of the most successful race cars ever built. The flat-twelve-powered 917 took first place at Le Mans in 1970 and 1971, beating cars built by much bigger companies like Ferrari and Aston Martin. Vic Elford cemented the 917’s spot in Le Mans history by reaching a neck-snapping top speed of 240 mph on the Mulsanne Straight. Le Mans native Jean Rondeau is remembered as the only driver ever to win the 24 Hours of Le Mans with a car that bears his name. After participating in the event several times during the 1970s, he began to develop his own car in 1975 with input from friends and associates and – oddly enough – funding from a French wallpaper company named Inaltéra. Rondeau didn’t win but both of his cars finished the race, which was no small feat. Inaltéra abruptly stopped funding the team in July of 1977 so Rondeau had to start all over again. He designed a brand new race car called M379 that was powered by a Cosworth-tune 3.0-liter V8 engine that spun the rear wheels via a five-speed manual transmission. Against all odds, Rondeau fended off competition from big names like Porsche and drove his home-made racer to victory in the 1980 edition of Le Mans. 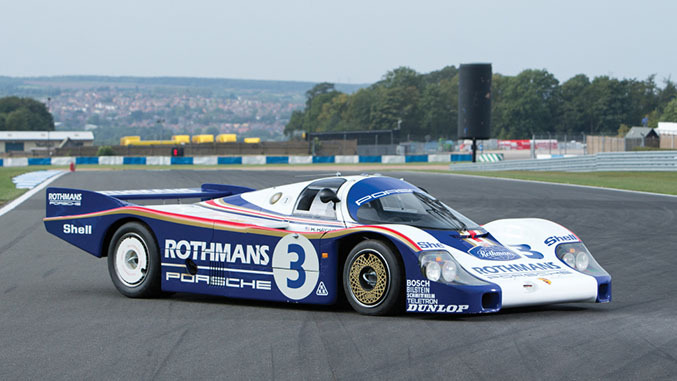 Porsche began to design the 956 in 1981 to compete in the Group C category of the FIA’s World Sportscar Championship. It featured an aluminum monocoque, a first in Porsche’s illustrious history, and a turbocharged 2.6-liter flat-six engine borrowed from the 936, which had won Le Mans on three separate occasions. 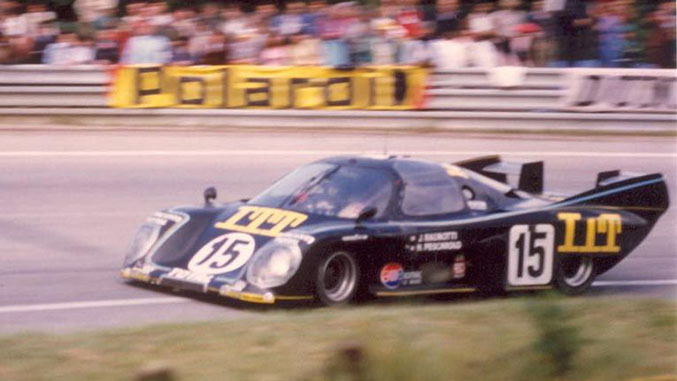 The 956 easily took first at the 1982 edition of the Le Mans race. The following year, Porsche decided to sell about a dozen cars to privateers and the 956 won no less than nine races – including Le Mans -, allowing Porsche to take first place in the World Endurance Championship. 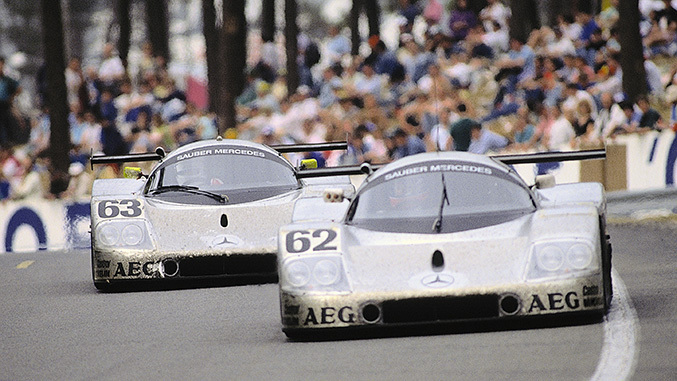 The 956 won again in 1984 and 1985, and the 962C that replaced it took first in 1986 and 1987. Mercedes-Benz became the first German automaker to win the 24 Hours of Le Mans in 1952, when a 300SL entered by the factory logged 277 laps. The German automaker pulled out of racing in 1955, and its name wasn’t associated with a Le Mans victory until it built a twin-turbocharged V8 engine for the Sauber C9 that was introduced in 1987. The 720-horsepower eight-cylinder helped the C9 reach a top speed of 248 mph on the Mulsanne Straight, and its reliability allowed it to finish first in 1989. Race authorities didn’t like the idea of cars reaching nearly 250 mph so two chicanes were installed on the Mulsanne Straight the following year and they have been there ever since. 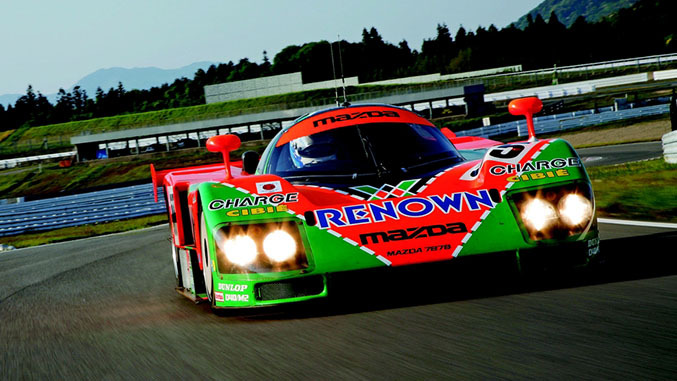 In the late 1980s, Mazda dreamed of becoming the first automaker to win Le Mans with a rotary-powered racer but its cars were usually plagued with reliability issues. Time was running out because the race’s sanctioning body announced new regulations that said all racers had to use a 3.5-liter V10 engine. In 1990, the best Mazda could pull off was 20th overall. The regulations were pushed back by a year at the last minute because not enough teams had a suitable V10 engine, so Mazda was allowed to race with a rotary one final time in 1991. The 787B was powered by a quad-rotor engine that made 789 horsepower at 10,000 rpm, enough to send the Kevlar-bodied racer to a top speed of 217 mph. Many expected one of the Mercedes-Benz C11s would win the race but two of them dropped out and the third one fell behind, propelling Mazda to first place. The 787 was faster than the V12-powered Jaguars it was up against and it won the race after 362 laps. Bentley dominated Le Mans in the 1920s, Jaguar won five times in the 1950s, Ferrari and Ford were both highly successful in the 1960s and Porsche crushed the competition in the 1980s. 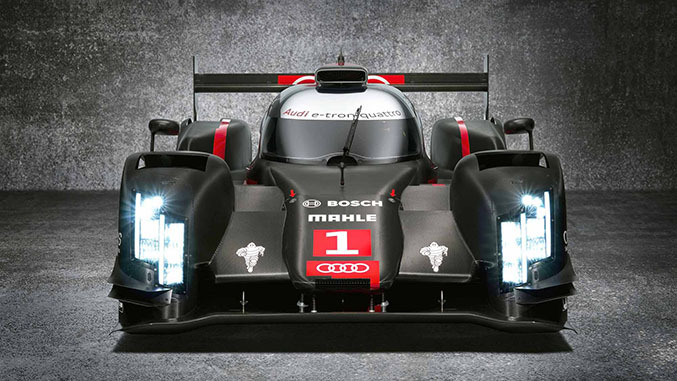 The 2000s and, so far, the 2010s are Audi’s eras, and the Volkswagen-owned company has won Le Mans 13 times since 2000. Audi became the first team to win the 24 Hours of Le Mans with a diesel-powered race car in 2006. The automaker has since invested a great deal of time and money into developing the technology, and the R18 has been unbeatable since its introduction in 2011.